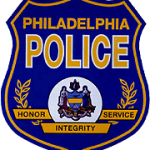 In an effort to deter and respond to crime patters, it is important that the public, community or individuals report incidents of crime so officers assigned to particular PSA can implement a strategy to combat the issue(s). If you see anything suspicious call 911. Remember to give the 911 call taker an exact location, detailed description (from head to toe), and the direction of the offender. Be a good witness. PSA-1, East side of Broad Street to the Delaware River, South side of Lombard Street to the North side of Washington Avenue. PSA-2, East side of 6th Street to the Delaware River, South side of Washington Avenue to the Naval Business Center. PSA-3, East side of Broad Street to the West side of 6th Street, South side of Washington Avenue to the NavalBusinessCenter. Within the past 7 days, 8-19-13 TO 8-25-13, the following incidents were reported. There has been (6) Robberies reported with (1) arrest. Residents are reminded to always be aware of their surroundings when parking their car, especially late at night, walking alone or when in front of their residence during late night hours. There has been (2) Residential Burglaries and (0) Commercial Burglary reported with (0) arrest. Lock your doors & windows. There has been (23) theft from autos reported with (3) arrest. Drivers are reminded not to leave any valuables, change or electronics visible in your vehicle. No Motorized Scooters / Motorcycles were reported stolen this week, (12) in the last 180 days with (1) arrests. 4 Bicycles were reported stolen this week, (135) in the last 180 days with (11) arrests. 7 Aggravated Assaults reported this week with (5) arrest. 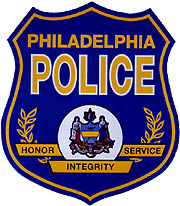 If anyone has information regarding any of the reported incidents, please call South Detective Division at 215-686-3013 or submit a tip. CAPTAIN RYAN’S MONTHLY COMMUNITY MEETING: Tuesday, 9-10-13, 7PM, 3rd District Roll Call Room, 11th & Wharton Street.